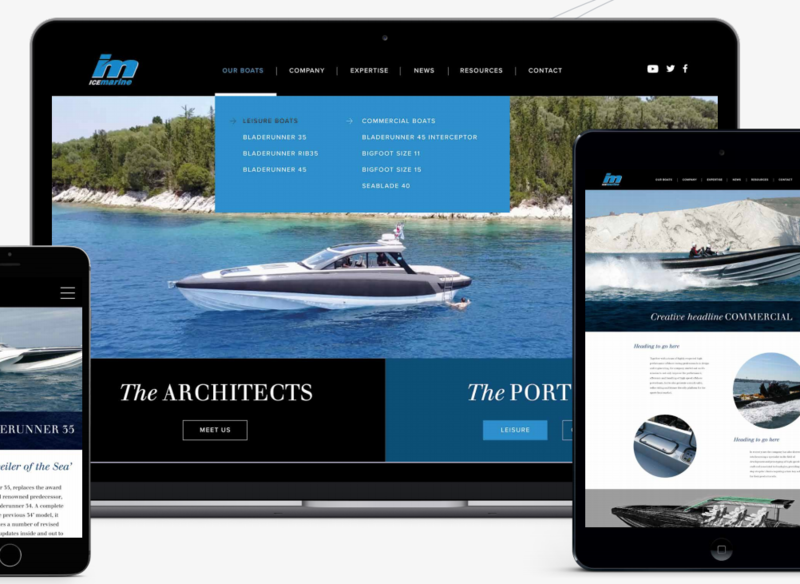 A winning website: Design Inc are proud to support Ice Marine with the build of their new corporate website promoting the power, precision and performance of their commercial and leisure vessels. Since then, they have added the marque’s range of outstanding vessels including the Bladerunner 51 Bradstone Challenger which, in 2005 smashed the Round Britain World record by a whopping 3.5hrs – and still holds the record to this day. 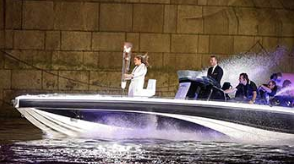 Equally as impressive, at the 2012 Olympics opening ceremony, the Bladerunner 35-RIB was the chosen vessel piloted by David Beckham to take the flame down the Thames and under Tower Bridge which was then passed to Sir Steve Redgrave who took it into the stadium. Fast forward to early 2018 and, to coincide with the launch of their latest commercial vessel, the company made the decision to increase their digital presence with a new corporate website. Having supported the company in the past with other marketing collateral, award winning website designer, Design Inc were the selected and preferred partner to deliver this website for Ice Marine. 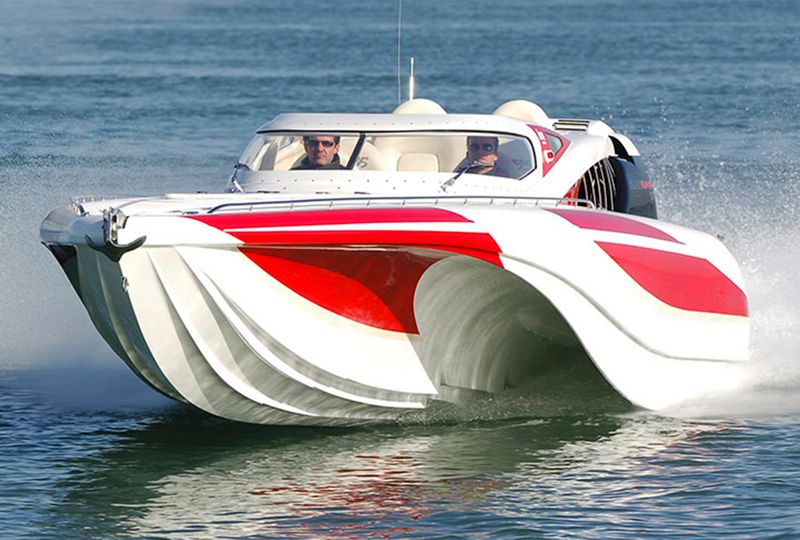 The agreed brief included a mobile-led design which would seamlessly showcase the extremes of ‘performance’ and ‘creativity’ possible with their range of powerboats. Design Inc worked closely with Ice Marine to deliver the right design style: light & airy, with maximum UX. Not only was the responsive, mobile-led website build on the WordPress platform with a comprehensive content management system, but it also benefitted from extensive search engine optimisation aimed at attracting global UHNW individuals. The website also showcases two videos. One which shows the latest vessel in a 360 degree turn and a quick link from the homepage to a full, more dramatic video of the vessels in action and in all their glory. Design Inc and a World Champion. A winning combination in anyone’s book!